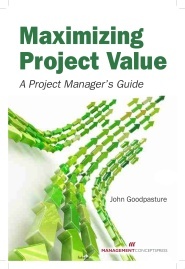 Chapter 12 of my book, "Maximizing Project Value", posits game theory as tool useful to project managers who are faced with trying to outwit or predict other parties vying for the same opportunity. The classic explanation for game theory is the "prisoner's dilemma" in which two prisoners, both arrested for suspected participation in alleged crimes, are pitted against each other for confessions. If neither of you want to confess, you and the other prisoner might both go with a fourth option: confess to a different but lesser crime with a certain light sentence. From there, we learn about the Nash Equilibrium which posits that in such adversarial situations, the two parties often reach a stable but sub-optimum outcome. In our situation with the prisoners, option 4 is optimum -- a guaranteed light sentence for both -- but it's not stable. As soon as you get wind of the other guy going for option 4, you can jump to option 1 and get the advantage of even a lighter sentence. Option 3 is actually stable -- meaning there's no advantage to go to any other option -- but it's less optimum than the unstable option 4. And so the lesson is that the customer will often wind up with a sub-optimum strategy because either a penalty or reward will attract one or the other project teams away from the optimum place to be. Bummer! There are numerous YouTube videos on this, and books, and papers, etc. But an entertaining and version is at the Khan Academy, with Sal Khan doing his usual thing with a blackboard and and voice over. Plans are models (Model: a system or thing to be followed or imitated). Example: "This plan is a model for all plans that come later"
It follows: the project plan is a model of the project "process" or road map leading to where? Ah hah! -- predictable results! Should there be -- do I need -- a project plan for agile? Yes, and yes! Just think of the plan as a model, and the logic of having a model to follow while doing agile is self-evidently worthy. Why wouldn't you want a road map? Or think of this: standing before an executive (who has all the money and influence) pitching a project and saying: "I've no plan, no model, no process for what I want to do, but give me your money!" Likely, you'll only do that once. And, of course, agile is a process onto itself (said process can be modeled, of course), even if we allow some customization and emergence of process details along the way. Example: the stand-up review, typically daily -- it's very definitely a process and there's very definitely a road map through this review. Perhaps better yet: moving WIP through a Kanban -- a process? You betcha! So, logic has gotten us here: Agilists who work with OPM (other people's money) certainly have a project plan, and it is also a model. But it's not presumed to be of such high fidelity or to be thought of as THE model, but rather A model that can be used to get going in the right direction. Thus, the distinction with traditional methods is not plan or no plan, process or no process, model or no model, but rather fidelity and detail. Agilists: get enough detail up front to make reasonable estimates and to get the starting vector right, and then add detail as needed. 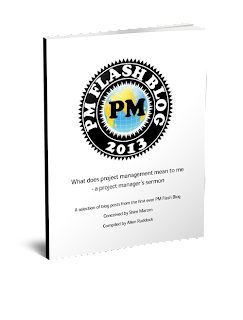 Wouldn't it be nice if we could ban % Complete from the lexicon of project management! % complete is a ratio, numerator/denominator. The big issue is with the denominator. The denominator, which is supposed to represent the effort required, is really dynamic and not static, and thus requires constant update -- something that almost never happens. Personally, I prefer these metrics, none of which are ratios. And, why do I like this set of non-ratio? Because there is a good mix of "input" which is always of concern to the PM and the sponsors, and "output" which is always of concern to users and customers, and is the value generator for the business. Thus, this set keeps an eye on both the input and the output. In a recent press essay, we learn (gasp!) that there are problems with big data. And, not just one, but several. Who knew?! [First]... although big data is very good at detecting correlations, especially subtle correlations that an analysis of smaller data sets might miss, it never tells us which correlations are meaningful [that is, which have utility for your situation or application]. Second, big data can work well as an adjunct to scientific inquiry but rarely succeeds as a wholesale replacement. A fifth concern might be called the echo-chamber effect, which also stems from the fact that much of big data comes from the web. Whenever the source of information for a big data analysis is itself a product of big data, opportunities for vicious cycles abound. I'm a list guy... lists are good; lists are helpful. But lists lay around and sometimes get pretty worn. Actually, I more often keep a Kanban board -- usually in Excel -- for the stuff I'm working on, and all the ancillary notes in Evernote, with some kind of index to put them together. And, relevant documents go in the cloud, again indexed to notes and the Kanban. My idea: if you can't search for it electronically, it's going to have a pretty short life in the real world. If you have ever transferred the same item from one To Do List to another... Stop ... and recognise they are not important enough to you. Transfer them to a new list: your To Don't List. Some things stay un-done on your To Do List not because they are unimportant, but because they are too big to get started. For each of these, create a Project Sheet - a one pager with the title at the top, why it is important next, then what your goal is for the project. Next write the first single thing that needs to get done. Against this put a date. Now copy that To Do item into your diary. If you have a list of aspirational projects that could each yield value, but none of which is the right thing to do now, keep a list of these. Your primary notebook is the best place. This is the way you can control your agenda and get to the end of it at the end of the day: a list of what you will do today. A Now List is everything on your plate Now and it is the first step to Overcome Overwhelm. After crossing off the To Don't Items from your Now List, look for anything that can wait for 24 hours or more. Put this on a Tomorrow List. Tomorrow, it will become your new ToDay List. Everything left on your Now List is either a substantial task or a little tiddler. A Tiddler List is a list of things that can each be done in 5 minutes or less. Work hard, work fast, and get through your Tiddler List. Have you ever ordered something and it didn't come? But you did not realise until four months later. Or did you ever ask someone to do something, and you forgot at the same time they did, so you failed to remind them and the job got missed? You need an Outstanding List - a simple list of things you are waiting for from someone else. For years, I collected tiny scraps of paper containing useful things I'd like to remember. Some of those things went into whatever notebook I had with me. Some got emailed to myself and got stuck at the bottom of my inbox. Now, I have one spiral bound reporter's notebook. Everything goes in there as a short note. And so let's end with the noble To DO List. It is a valuable time management asset - as long as it's not your only time management asset. Use it as a running list of everything you'd like to Do. Daily, review it for things that are ready to make it to your ToDay List. c) arbitrary probability of occurrence of each value. If I understand your presentation Central Limit Theory (CLT) and the Law of Large Numbers (LLN) when applied using Monte Carlo simulation states that accuracy is improved and risk more precisely quantified. It seems to me that this violates a law that I learned a long time ago...garbage in-garbage out. Is this true? ...."
Project management operates, in the main, on approximations... ours is the world of 1-sigma (Six Sigma is for the manufacturing guys; it doesn't belong in PM). Re the precision/accuracy argument: My favorite expression is: "Measure with a micrometer, mark with chalk, and cut with an axe", implying that there is little utility in our business (PM) for precision, since most of our decisions are made with the accuracy of chalk or axes. A MC Sim gives you approximate, practical,and actionable information about the possibilities and the probabilities (all plural) of where the cost or schedule is likely to come out. And, to your point, the approximate answers (or data) should be adequate to base decisions under conditions of uncertainty, which is for the most part what PMs do. So, what about MC Sim itself? Re your contention: " ... selecting the distribution, optimistic, pessimistic and realistic values must be accurate for Monte Carlo to provide more accurate results." Actually, this contention is quite incorrect and the underlying reason it is incorrect is at the core of why a MC Sim works. In a few words, all reasonable distributions for describing a project task or schedule, such as BETA (used in PERT), Normal (aka Bell), Rayleigh (used in many reliability studies, among others), Bi-nominal (used in arrival rate estimates), and many others are all members of the so-called "exponential family" of distributions. You can look up exponential distributions in Wikipedia. The most important matter to know is that, in the limit when the number of trials gets large, all exponentials devolve to the Normal (Bell distribution). Thus, if the number of trials is large, the choice of distribution makes no difference whatsoever because everything in the limit is Normal. As few as five sometimes gives good results (see image) but usually 10 or more is all you need for the accuracy needed for PM. Consequently, most schedule analysts pick a triangular distribution, which does not occur in nature, but is mathematically efficient for simulation. It is similar enough to an exponential that the errors in the results are immaterial for PM decision making purposes. Should I worry about 'when' and 'where'? Now the next most important matter to know is that a sum of exponentials (BETA, Rayleigh, whatever) -- like would be the case of a sum of finish-to-start tasks -- has the same effect as a number of trials. That is, if the project is stationary (does not matter when or where you look at it), then a string of repeated distributions (as would be in a schedule network) has the same characteristics as a single distribution tried many times. And, each member of the string not be the same kind of distribution, though for simplicity they are usually assumed to be the same. Thus, whether it's one distribution tried many times, or one distribution repeated many times in a string of costs or tasks, the limiting effect on exponentials is that the average outcome will itself be a random variable (thus, uncertain) with a distribution, and the uncertainty will be Normal in distribution. The usual statement about GIGO assumes that all garbage has equal effect: Big garbage has big effects; and little garbage has little effects; and too much garbage screws it all up. This is certainly the case when doing an arithmetic average. Thus, in projects, my advice: never do an arithmetic average! However, in a MC SIM, all garbage is not equal in effect, and a lot of garbage may not screw it up materially. The most egregious garbage (and there will be some) occurs in the long tails, not in the MLV. Consequently, this garbage does not carry much weight and contributes only modestly to the results. When I say this I assume that the single point estimates, that are so carefully estimated, are one of the three estimates in the MC Sim, and it is the estimate that is given the largest probability; thus the MLV tends to dominate. Consequently, the egregious garbage is there, has some effect, but a small effect as given by its probability. What about independence and correlations? If the distributions in the MC Sim are not independent then results will be skewed a bit -- typically, longer tails and a less pronounced central value. Independence means we assume "memoryless" activities, etc so that whether a string of tasks or one task repeated many times, there is no memory from one to the other, and there is no effect on one to the other other than in finish-to-start there will be effects on the successor start time. Correlations are a bit more tricky. In all practical project schedules there will be some correlation effects due to dependencies that create some causality. Again, like loss of independence, correlation smears the outcome distribution so that tails are longer etc. 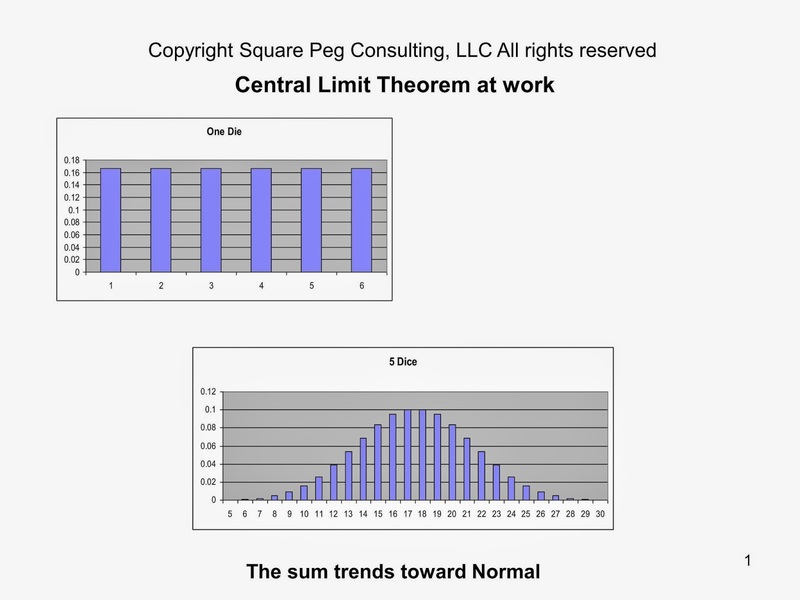 Technically, we move from the Normal to the "T" distribution, but effects are usually quite inconnseqential. Where to get the three points if I wanted them? 2. All other tasks are handled according to history re complexity factors applied to the estimated MLV (most likely value, commonly the Mode): that is, once the MLV for a non-critical task is estimated, factors set by policy based on history, are applied to get the estimates of the tails. Thus, a "complex task" might be: optimistic 80% of MLV and pessimistic 200% of MLV, the 80% and 200% being "policy" factors for "complex" tasks. This is the way many estimating models work, applying standard factors taken from history. In the scheduling biz, the issue is not so much accuracy -- hitting a date -- as it is forecasting the possibilities so that some action can be taken by the PM in time to make a difference. Now, if the schedule is trivial, there is no real difference in the PERT and MC Sim. Take, for example, a dozen tasks in a tandem string of finish-to-start. The PERT answer to the expected value of the overall duration and the MC Sim will be materially identical. The sum of the expected values of each task is the expected value of the sum. So, the SIM and the PERT give identical answers insofar as an "accurate" expected value. But that's where it ends. PERT can give you no information about the standard deviation of the outcome (the standard deviation contains the reasonable possibilities about which you should be worried), nor the confidence curve that lets you assess the quality of the answer. If your sponsor asks you run the project with an 80/20 confidence of finishing on time, where are you going to go for guidance? Not to PERT for sure. And, if your sales manager says bid the job at 50/50, you have the same issue... where's the confidence curve going to come from? And, most critically: PERT falls apart with any parallelism in the schedule in which there is no slack. I'm almost out of gas on this one, so I'll end it here. The image shows the outcome of 5 independent uniform distribution summed, as in a finsh-to-start schedule sequence. Fix the architecture or the leaky windows? One of the agile principles is to let -- or even encourage -- architecture emerge in its own time and in its own way from the work of the teams. The principle alleges good architecture will come about this way. Perhaps, but too much risk for me. Good architecture comes from good architects, though they often miss the small stuff on the margin. Frank Lloyd Wright was a brilliant American architect of the 20th century, but, in almost everything he did, the windows leaked. The post-WW II suburban "bedroom" towns of the 1950's and 1960's were sprawls of cookie-cutter homes, efficiently built in just a few models that repeated on every street, void of any appealing architecture, and the windows never leaked. And, so what do we make of this? Is there something actionable here? Yes: there is a choice to be made, and with that choice an investment and a risk. The choice is whether to pay -- or not -- for good architecture, knowing that its quality is strategic, defining, and discriminating; knowing it will return value many times over. But, at the same time, the risk is that we are going to have to fix the windows. Many good architects may get too close to the edge of "it can't be built" as they reach for the discriminating design. But the "ideas" board looks like it could be a trial balloon space, something more informal, that could ebb and flow with the idea du jour. Extend to virtual users Of course, how does one extend this to virtual users? Just because there are several boards doesn't really make the solution any different than if there were only one. Now, if this stuff is in a database, then extension -- with processing and interpretation -- is extendable to a dashboard, suitable for both functional and technical managers. In the vernacular of these sorts of things, our author shows the difference in "framing" the issue, buying or selling the idea. And, not only is framing a tool for setting up a buy/sell transaction, but frames are used to illustrate ownership and responsibility on one side, and arm chair quarterbacking on the other. In this case, we often say: "Where you stand depends on where you sit", or "Talk is cheap". If you are doing this stuff with OPM (other people's money), then taking responsibility may well change your frame. You can't just talk it... you have to do it. ROI: Net improvement in a ratio with the required investment for generating the improvement. But when the "returns" are not monetized -- as they commonly are not in the public sector and non-profits, for example -- evaluating the numerator is not straightforward at all. And, in some cases even the "investment" is not monetized: What's the value of volunteer labor, insight, and experience? And, what's the value of donated environment -- facilities, tools, and the like? The larger question: how do you evaluate project ROI when there's no real balance sheet entries for "R" and "I"? And, ROI is a tricky matter even if you have a monetized balance sheet. Beware of the tricks and traps: Labor -- aka members of the staff, SMEs, leaders, and managers -- is carried as a liability! Ooops. Perhaps the HR folks and the CFO folks are not drinking the same water! Thus, some make ROI as an exclusively financial metric that may/may not apply in a particular situation. When there's no monetized ROI, then a "return of benefit" may be a better idea. Benefit, used this way, could be monetized but more likely it's what you get out of the opportunity or the demand, having invested in some way. And, the investment may not be monetized either. So ROB (return on benefit) can not in general be a ratio since there are not metric units that are compatible for forming a ratio. Consequently, it's common practice to state in functional terms what you are investing and what you expect to get back/returned. And, to complicate matters, the ROI or NPV (net present value) or EVA (economic value add) may all be unfavorable, but yet the benefit essential to business success. Thus, the project focus turns to minimizing risk to return of benefit long term, while also minimizing the risk of financial impact insofar as possible. I picked up that bit from a book review posting of "Trust in Virtual Teams" by Thomas P. Wise. By Wise's take, those are the main determinants of whether a team is really virtual. But, the the others are important. For instance, working from home a day a week pretty much means just a geographic separation: you're not going to lose your culture (beliefs and norms) in just a day at the house. But, given enough time in a remote geography, and you're going to "go native" as they say. And, of course, if you can't effectively communicate, then there goes the body language and probably half your communications input. But, these are my ideas; for Wise's take, read the book. Need a checklist of what to consider when evaluating capital requirements for a large scale construction project -- like say replacing the Golden Gate Bridge? In this paper, Bob focuses on Capital Efficiency. Even if you're not in construction, this is a handy checklist for the large scale among us.